Microsoft has published the products.xml metadata of Windows 10 Spring Creators Update v.1803 Build 17133 for Media Creation Tool (MCT). Media Creation Tool is an utility provided by Microsoft to create Windows 10 installation media, ISO or simply to upgrade the PC to latest version of Windows 10. As Windows 10 Spring Creators Update is not officially available yet, the Media Creation Tool is still offering Windows 10 Fall Creators Update v.1709 build 16299.15. However, you can use the trick below to force Media Creation Tool, including Media Creation Tool at older version such as 16299.15, to push Windows 10 Spring Creators Update Build 17133.1 as the latest Windows 10 version, hence enabling you to create Windows 10 Build 17133 ISO images or upgrade to Windows 10 Build 17133 via official Microsoft supported method. Download products.cab published by Microsoft created by abbodi1406. The cabinet file essentially contains the Products_RS4_03_30_2018.xml, which was modified to match the structure readable by Media Creation Tool and renamed to products.xml. Products.xml is the critical file that provides all download links information of Windows 10 version 1803 to MCT. You can also change the language code, system architecture and other variables according to your need. Follow the wizard to create bootable Windows 10 Spring Creators Update RTM ISO images, USB flash drive or DVD media, which has the build as 17133.1.180323-1312.rs4_release. The workaround is only required while Microsoft still hasn’t officially released Windows 10 Spring Creators Update to Media Creation Tool. Once Windows 10 version 1803 is generally available, the MCT should download the latest version automatically. 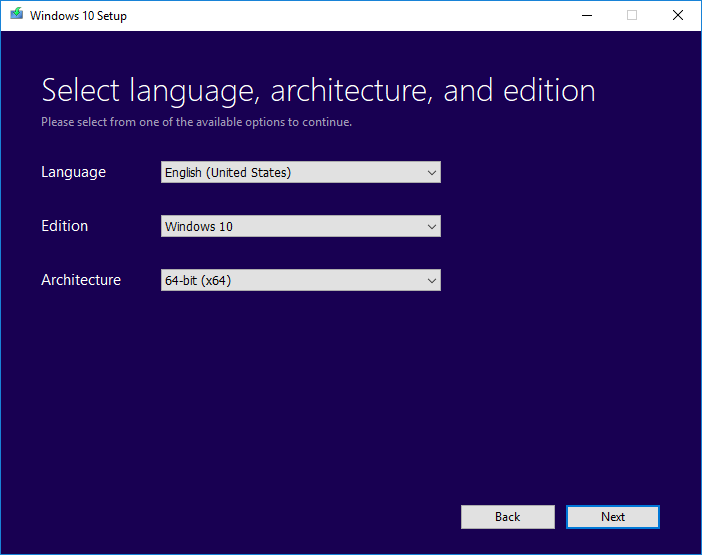 In addition, you can also download the Windows 10 Build 17133 v.1803 ISO directly. Update: Due to BSOD blocking bug, Windows 10 Build 17133 has been demoted from RTM status. Instead Microsoft released Windows 10 Redstone 4 Spring Creators Update Build 17134 as potential RTM candidate. No Media Creation Tool for the build has been released yet.